In the northernmost part of Egypt, precisely in Damietta governorate, 105 years ago a boy was born 22 November to a traditional Egyptian family. That boy was Fateen Abdel-Wahab who is considered one of Egyptian cinema’s most prominent pioneers. Fateen was the younger brother of actor Serag Mounir and director Hassan Abdel-Wahab. Their father was one of the Ministry of Education’s eminent educators. Initially, he didn’t show an interest in working in cinema and enrolled in the Faculty of Agriculture. After failing there he went to the Architecture Department in the Faculty of Fine Arts, where he failed once again. He decided to work in the Passports, Emigration & Nationality Administration. After World War II broke out, he enrolled in the Military College and graduated as a reserve officer. During his military service, Fateen spent time reading specialised cinema books in his brother Hassan’s library. Thus, his relationship with cinema began. By the end of World War II, Fateen had become deeply attached to this art; he even began to act in small parts, starting with The Countryside Girls (1945), which also witnessed his work as an assistant director to Youssef Wahbi. This occurred repeatedly with other directors, such as Hassan Al-Imam, Ibrahim Emara and his brother Hassan Abdel-Wahab. Fateen Abdel-Wahab’s debut as a director was with Nadia (1949), starring Aziza Amir and Mahmoud Zulfikar. The film’s atmosphere was melodramatic with a backdrop of the Palestine War in 1948, and presented him as a dependable director, despite him not finding yet his true voice. His second film, A Husband for Four Women (1950), was viewed as the first sign of the kind of cinema that Fateen fancied and continued to make throughout his career. It wasn’t until 7 February 1954, when Fateen’s eighth film, Miss Hanafy, starring Ismail Yassin was released, that he reached the kind of success that would allow him to be in control and establish his style in the Egyptian cinema market. Before that, his seven preceding films included House of Ghosts (1951) and A Word of Truth (1953) in which Ismail Yassin participated, and The Lawyer Fatma (1952) starring Faten Hamama. However, Fateen was in need of a huge box office success that would place him among the top directors. After the success of Miss Hanafy, he went on to make a series of films bearing the name Ismail Yassin, and upon them the comedy star also built his glory. If Ismail Yassin was the most prominent actor in Fateen’s films in the 1950s, there was another actor, Fouad Al-Mohandes, who was his favourite in the 1960s, especially with his shift to the family comedy genre. He made with Al-Mohandes a set of films that became his most successful, such as Zizi’s Family (1963), Husband’s Confessions (1964) and Land of Hypocrisy (1968). It is noteworthy that Fateen’s brilliant success included pulling in many serious actors to the comedy genre. At the top of that list comes the king of tragedians, Youssef Wahbi, in A Rumour of Love (1960), and also Omar El-Sharif in A Rumour of Love and Farid Shawqi in His Majesty (1963), as well as Lubna Abdel-Aziz in What a Shrew (1963). 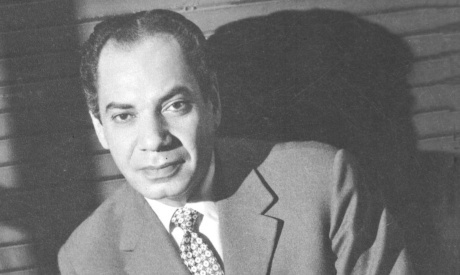 Fateen also directed Shadia’s most important films in the 1960s such as The Thirteenth Wife (1962), My Wife a General Manager (1966), Half an Hour Marriage (1969), and City Lights (1972), his last film before his death on 12 May 1972. Despite being obviously distinguished in directing comedies, Fateen made films that also belonged to other genres. Those included the social drama The Stranger (1956), the detective film The Big Brother (1958), the musical Seven Days in Heaven (1968) as well as the romantic drama When We Love (1967). In all these films, he showed superb competence in manipulating his tools and capitalising on his actors’ abilities. Throughout his 57 films made between 1949 and 1972, we can glimpse general characteristics in his style as a director. Fateen had a clear interest in evocative introductions, whether in the time of the events, the setting, or the atmosphere in which they took place. He favoured the classical unity of action without too much branching out, and preferred a simple plot no matter how profound or complex the issue. In Fateen’s films, we find how conflict isn’t always between good versus evil, but it may be between man and intangible things or metaphysical forces. It was against a prophecy in A Husband of Four Women; against a bet and time in A Word of Truth; against society in Miss Hanafy; against superstitions in Expelled from Paradise (1965); and against a husband’s amorous affairs in The Thirteenth Wife and My Wife’s Dignity (1965). In all this, he preferred using soft diffused light and wide shots, and selecting his scriptwriters and actors with great care. Even if Fateen Abdel-Wahab wasn’t the first, chronologically speaking, in the comedy genre, he has achieved what no previous director did. Through his comedy films, he founded a new wave and presented a successful body of work that remains timeless in its ability to make us laugh to this day. 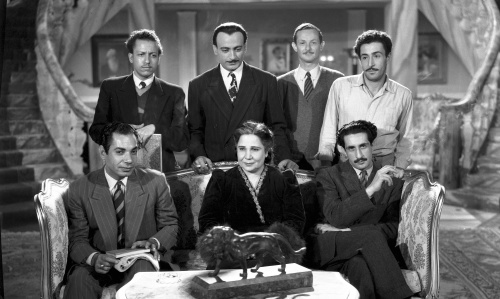 Fateen left an indelible mark on Egyptian cinema. He made stars and rediscovered others, combined technical adeptness and a sophisticated sense of humour, absorbed cinematic culture in its broad sense, and captured the humorous Egyptian character as no other director did. Egyptians loved his films even if they didn’t recognise his name, and critics appreciated his films even if they didn’t give them their due. Fateen Abdel-Wahab was — and remains — a real pioneer of the Egyptian comedy film.